They call themselves Hollywood's best-kept secret: India's animators, long-time partners for the likes of Walt Disney Co, are reaping the rewards of surging demand for visual effects and gaining the confidence to venture out on their own. India's animation industry generated revenue worth Rs 4,490 crore ($675.7 million) in 2014, a 13 per cent increase from the previous year, according to data from a FICCI-KPMG report on media and entertainment industry. 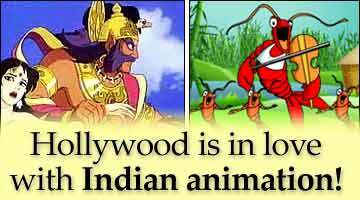 The industry is expected to double in size to Rs 9,550 crore within five years, as Hollywood studios tap a large pool of low-cost, English-speaking animators who are familiar with Western culture. So far, animators based in India have created crowd scenes and props for the Emmy award-winning TV series "Game of Thrones" as well as more prominent visual effects for films including Disney's 2014 Angelina Jolie movie "Maleficent" and Dreamworks Animation's "How to Train Your Dragon", among other Hollywood hits. "We are one of those best kept secrets. We do all this amazing work and no one knows about it," said Biren Ghose, who runs the Indian subsidiary of US firm Technicolor, which includes the animation units that worked on "Maleficent". In a bid to gain more business and build a higher profile, a unit of Mumbai-listed visual effects firm Prime Focus Ltd last year bought London-based Double Negative, the studio that this year won an Oscar for best visual effects for "Interstellar". Others like Prana Studios have attracted investment from some of the country's richest men - Reliance Industries' tycoon Mukesh Ambani and Anand Mahindra of the diversified Mahindra Group. "Of course cost is a big factor," said Arish Fyzee, Prana's chief executive and creative director, when asked about the Indian animation industry's appeal. Both Mahindra and Reliance declined to comment for this story. "But ultimately, animation is about performance and understanding cultural idioms and idiosyncrasies. The combination is what our clients find helpful," Fyzee said. The country's animation industry is almost as old as its movie industry, the world's biggest in terms of revenue. In 1956, a local movie studio invited a Disney animator to train them, and a year later, India's first animated production "The Banyan Deer" was made. Over the years, studios have generated their own animated movies, ranging from 2008's box office flop "Roadside Romeo", a 3-D cartoon movie jointly produced by Yash Raj films and Disney, to this year's hit war epic "Bahubali", India's costliest film on record. Indian demand for local animation is dwarfed by business from Hollywood, but some studios like Prana say working on their own movies will elevate the industry's status, and their own profile. "It's a departure from waiting for work to come from the United States," said Fyzee. 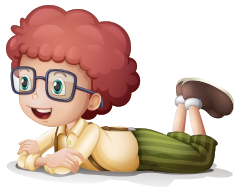 The firm is creating its own animated movie "Wish", about wishing wells.